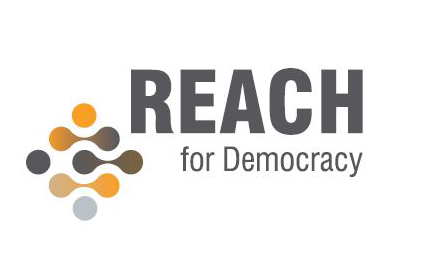 NIMD is teaming up with its partners CEMI, EECMD and EPD to launch a new EU-funded programme entitled “Regional Engagement to Advance the Creation of Hubs for Democracy” (REACH for Democracy). The programme will be rolled out in Benin, Georgia, Kyrgyzstan, Moldova, Morocco and Tunisia. Together with our partners, we aim to create an international network of young democrats from across the political spectrum who will work together to make their political systems more plural and inclusive. By focusing on high-potential young leaders and women politicians, the programme aspires to turn promising party members (with responsibilities in their parties’ structures) into drivers of change within their own organizations. These key stakeholders will be strengthened to become advocates of the non-partisan approach and take part in an expanding network of political representatives who will promote multiparty dialogue not only in the EU and its neighborhood but also beyond. Their capacities to create change will be increased through a comprehensive and intensive training programme that will turn the already existing Democracy Schools in Georgia and Tunisia into Multiparty Democracy Hubs. ln parallel, the multiparty platforms that NIMD is already running in Georgia and Tunisia will be consolidated, embarking in more complex and sensitive issues such as corruption, money in politics, policy frameworks etc. A series of multiparty dialogues will be combined with a peer-to-peer component, in which political representatives from both countries will learn from each other and discuss solutions to overcome their respective challenges through consensus and mutual understanding. The programme kicked off in May with scoping missions to Moldova and Benin. To set the wheels in motion, the partners held meetings with all relevant stakeholders such as political party representatives, CSOs, state institutions & international NGOs. After all the scoping missions are concluded, selection criteria for the participants will be finalized and a second mission will be undertaken to finalize the selection process. In addition the programme has officially been launched in Tunisia, and will be launched in Georgia by the end of June. We look forward to continuing our project and working together towards more inclusive democracies in these countries. The REACH for Democracy programme is financed by the European Union.